As a makeup artist who does mostly wedding work and an Independent Skincare Consultant, brides often ask me how they can get their skin ready for their wedding day. I have to say, it’s a sensible question, because great makeup starts with great skincare, and if you take care of your skin, your makeup will ALWAYS look better and last longer. So what better way to share my tips than to share them in a blog entry in the hope that it’ll benefit lots of brides to be, and bridesmaids, and mums! Please. Ditch the face wipes. Now! I know this isn’t what you wanted to hear, because they are seen as practical, easy to use, and quick. Truth is though, they are bad for your skin. They only remove surface makeup, they won’t remove all makeup and this causes build up and breakouts of spots. Because of the method of using them, you’ll also be dragging dirt and germs around your face – particularly bad if you get spots/blemishes. They also often dry out your skin – there really is nothing good about them. So binning your face cleansing wipes is absolutely, step 1! Get into a routine of cleansing and mosturising day and night. For the cleansing part, use a cleansing face wash, or a water or cream based cleanser you use with cotton pads. Cleanse your face with warm water, gently lathering it in circle motions and pat it dry. If you’d rather use a cleanser with cotton pads at night, that’s fine, but it can often be more work, as you have to keep applying the product and removing it with cotton pads until the cotton pads come away clean – you must do this or you aren’t getting rid of the dirt. If you’re using a cream cleanser, dampen the skin with a spritz of water (tap water will do! ), use your (clean) hands to gently massage on to the face, and remove with cotton pads – repeat until cotton pads come away clean. After cleansing apply a moisturiser suited to your skin type, gently massage it into the skin. You can, if desired, have a day moisturiser and a night moisturiser. That decision is yours, but investing in a great moisturiser is absolutely key – if your skin is dry, which it can become over time if not moisturised properly, it’ll soak up makeup, and your makeup might look a bit flakey and not last as long – so ladies, give that face some moisture morning and night! Don’t put the moisturiser on or just below eyes – as the skin is thinner and you’ll get moisturiser building up – instead invest in an eye cream to suit your needs. This is the part a lot of people miss out, but exfoliation is very key to preparing your skin for your big day. Do this at least once a week, after cleansing but before exfoliating. This will remove dry, dead skin and encourage new skin cells, giving you a beautiful healthy glow, and fresh new skin that will agree with makeup! Some brands also offer microdermibrasion, which is another form of exfoliation, this can also really help to rejuvenate skin – read the brands instructions to see how to use the product. For more specific skin needs, such as reducing fine lines or redness, consider applying a serum as part of your daily routine. On the run up to the wedding, get drinking water – hydrated you means hydrated skin! Eat well and exercise too, it’ll show in your face! Also try to avoid over-doing it on the alcohol, it causes dehydration and bags under the eyes! Get plenty of shut eye – sleep works wonders for all manner of things, including the skin! I really hope that this has helped you and I wish you all the best for your wedding day. If you have any questions, or tips, please leave a comment. 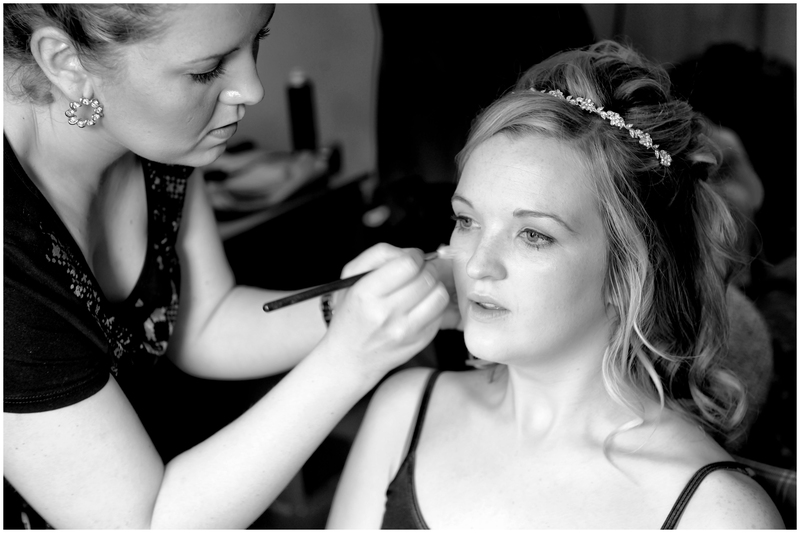 If you live in Scotland, I am available for wedding makeup – please see my website, www.kirstinalexandra.co.uk for more details. ← Get your makeup done by me and be in with the chance to win a spa day for 2!